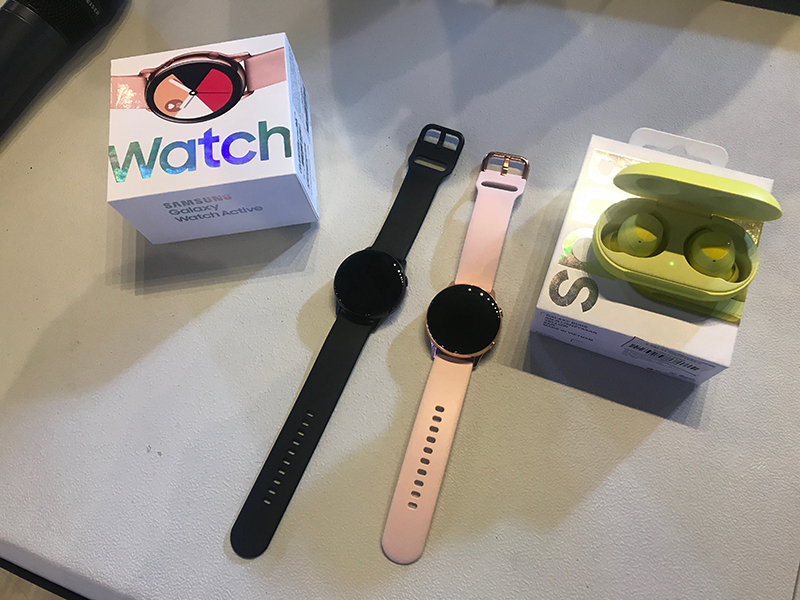 A trio of lifestyle gadgets was released by Samsung earlier this month. 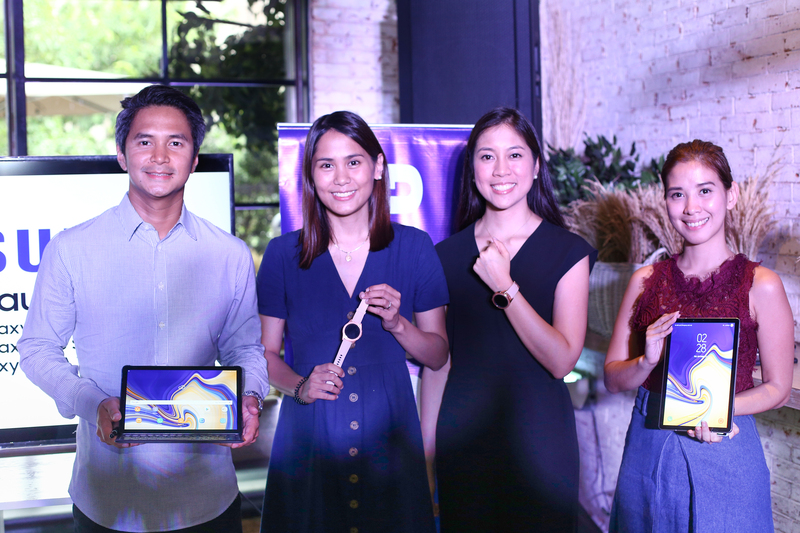 The Samsung Galaxy Watch, Galaxy Tab S4, and Galaxy Tab A (2018 edition) are now out in the Philippine market. The Galaxy Watch brings the best of the Samsung’s Galaxy ecosystem with its long-lasting battery life of up to 80+ hours, wellness capabilities, and a timeless and personalized design. Get access to Samsung Health, Samsung Knox, Bixby Assistant, and more, plus control your music with Spotify Offline mode. Tethering, messaging, calls, mapping, music, and other productivity tasks can also be done on your wrist. Enjoy true holistic health experience with the new stress management tracker, which automatically detects high levels of stress and offers breathing exercises to help keep users centered and focused. In addition, a new advanced sleep tracker monitors all levels of sleep, including REM cycles, to help users adjust sleeping habits and get the rest they need to take on their day. 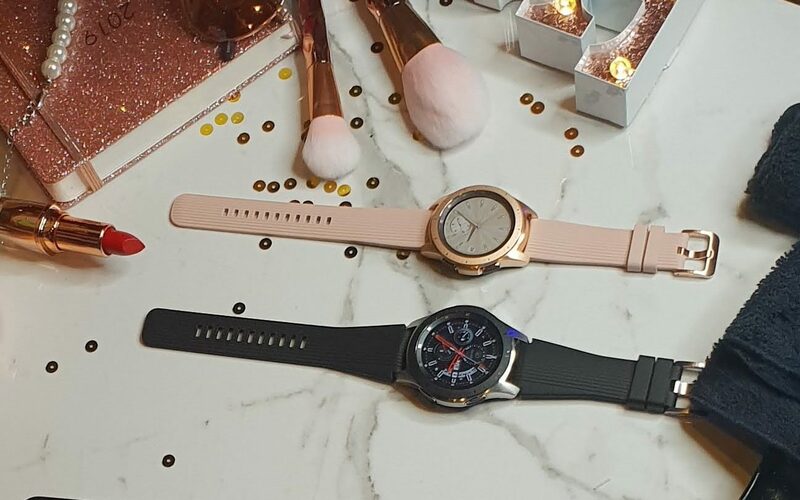 The Samsung Galaxy Watch comes two new watch faces: 46mm Silver (P16,990) and 42mm Rose Gold (P15,990). Built for people who work hard and play hard, the Galaxy Tab S4 is a powerful multi-tasking assistant equipped with upgraded features that promote productivity on-the-go and also deliver exciting entertainment. 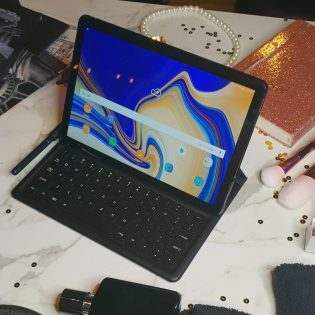 Sporting an intuitive interface, combined with the dedicated POGO keyboard that seamlessly connects with the tablet, The Tab S4 provides a comfortable Desktop Experience (DeX) mode, enabling users to accomplish more work anytime, anywhere. The Galaxy Tab S4 also comes with an improved S Pen with revamped drawing tools and translate functions that help unleash its user’s fun and creative side. The added Air Command applications and Live Message also ensure an optimal user experience. Carrying 64GB internal storage and supporting expandable memory of up to 400GB via the microSD card slot, the tablet accommodates many files, from important documents to large and high-definition videos, which you can easily enjoy on its 10.5-inch Super AMOLED Display and speakers tuned by AKG and powered by Dolby Atmos. 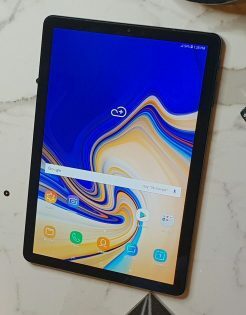 The Galaxy Tab S4 runs on a 7,300mAh battery that can last up to 16 hours and goes back to full power in just 200 minutes of fast charging. Available in Ebony Black and Fog Grey colors at P44,990. Finally, Samsung makes the tablet relevant again as it now caters to the needs and enjoyment of the whole family, as opposed to one person. The new Galaxy Tab A is designed with epic family entertainment in mind. With its wide 10.5-inch display and generous 16:10 screen-to-body ratio, plus quad speakers tuned by AKG with support from Dolby Atmos 3D Surround Sound, this widescreen tablet allows friends and family to watch movies, play games, listen to music or browse content together. The device also ensures longer battery life, with its 7,300mAh power. Kids Mode is one feature that customers will definitely appreciate in this tablet, as parents can now manage the content and usage time of their children on the device. This child-friendly interface is designed to make learning and entertainment simple, safe, and fun, with Kids Browser, Galaxy Apps for Kids, and eight free child-friendly apps from family-favorite brands. If there are teenagers and other adults in the house, it’s fine. The Multi User Mode can be used to create up to 8 accounts on the same device in order to benefit the entire family. 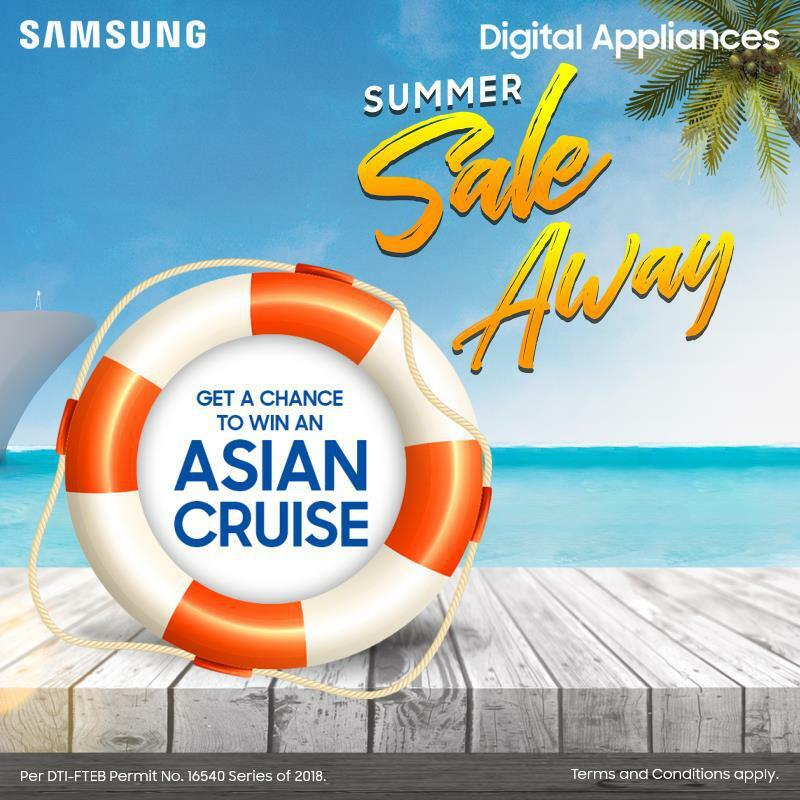 Besides entertainment, families are also able to stay updated all the time with Samsung’s Always On Daily Board, which brings integral daily information to one easy-to-view home hub, including a clock, calendar, and weather updates, as well as a digital photo library. The new Samsung Galaxy Tab A 10.5 comes in a Fog Grey color at P23,990.